Google and other search companies are close to striking a voluntary agreement with entertainment companies to tackle the appearance of infringing content links in search results. Following roundtable discussions chaired by the UK's Intellectual Property Office, all parties have agreed that the code should take effect by June 1, 2017. 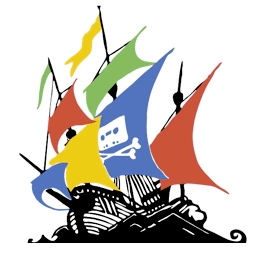 For several years the entertainment industries have blamed companies like Google for not doing enough to prevent instances of Internet piracy. At times, Google has even been accused of fueling it. The problem is with search results. Whether they’re presented by Google, Bing or Yahoo, copyright holders wish that more could be done to prevent the appearance of infringing links, particularly in the first crucial pages of results. To its credit, Google has taken a number of measures over the years but in the eyes of copyright holders, it’s never been enough. Instead, Google has been flooded with a billion takedown requests in the last year alone, each demanding that links to infringing content be removed. When the notices are accurate, Google always complies but there have been rumblings in recent years, particularly in the UK, that search engines could find themselves on the end of legislation that forces them to do more. With that eventuality a daunting prospect, companies like Google and representatives from the entertainment industries have been trying to reach some kind of voluntary agreement. Their meetings generally aren’t spoken about in public, but the UK government has played a strong role in bringing the groups together. What we now know is that a deal is extremely close to being signed. This week, during a Digital Economy Bill committee, discussion again turned to the role of service providers when it comes to infringing content. For example, should they enjoy reduced safe harbors if they optimize the presentation and promotion of copyright-protected works? A draft amendement to the bill would allow the government to impose a code of practice on search engines, forcing them to deal with infringement – a proposal that has proven popular in parliament. However, when the matter was raised again this week it was revealed that the imposition of such a regime probably won’t be needed. According to Buscombe, all parties involved (that’s the search engines and entertainment industry companies) have agreed that the code should come into effect within four months. “All parties have also agreed that the code should take effect, and the targets in it be reached, by 1 June this year,” the Baroness said. With no such meetings ever documented in public by either the companies involved or the government, TorrentFreak reached out to Google – who are definitely at the hub of the agreement – with a few questions. What companies are involved in the agreement, both from the search side and entertainment industries? What are the basics of the voluntary code and how will it affect the visibility of allegedly-infringing results? How will the agreement manifest itself to Google’s users come June 1? At the time of publication, Google had not responded to our request for comment. However, without mentioning them by name, Baroness Buscombe was complimentary about Google and the other search engines involved, noting that cooperation with entertainment companies is ongoing. “The search engines involved in this work have been very co-operative, making changes to their algorithms and processes, but also working bilaterally with creative industry representatives to explore the options for new interventions, and how existing processes might be streamlined,” she said. Noting that moving forward on a co-operative basis now is better than introducing legislation later, the Baroness said that other options could always be revisited in the future, should things not work out. At this stage, however, it seems unlikely that Google et al would prefer legislation over a voluntary code.